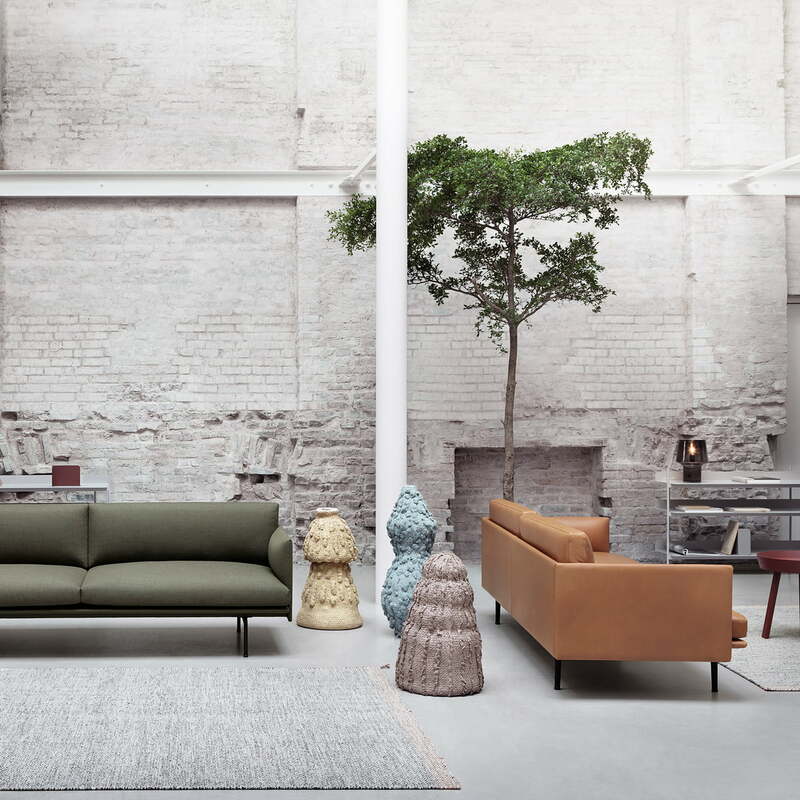 With the Outline sofa, the designers Anderssen & Voll wanted to create seating for Muuto, that is light and elegant and offers a high degree of comfort. The design duo was inspired by modern architectural elements. The various levels of the sofa overlap and contribute to the lightness of the sofa. For this reason it radiates a certain calmness and serenity. 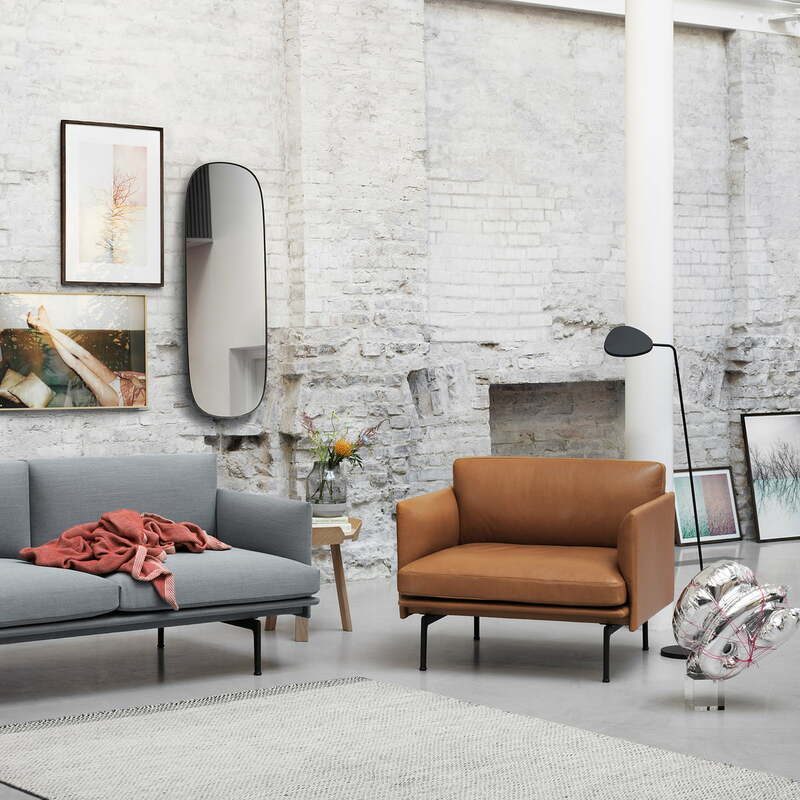 Thus, the Outline sofa becomes a comfortable couch that invites you to relax and at the same time impresses with a slim appearance and a strong architectural presence. 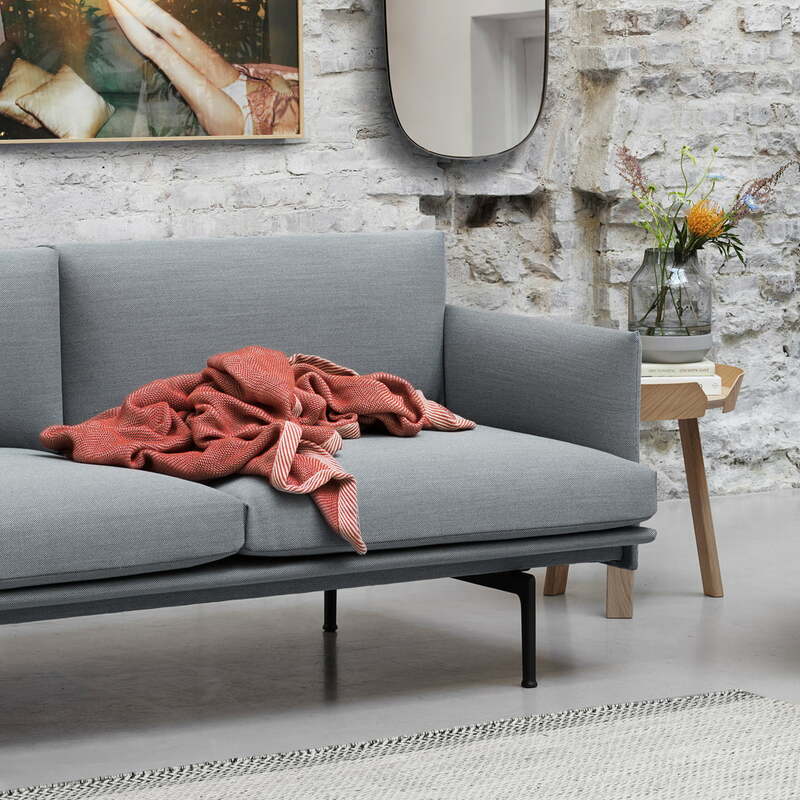 The sofa’s frame is made of plywood and steel and is supported by four legs made of powder-coated aluminium. The upholstery consists of cold foam granules and springs and there is a choice between leather and textile for the sofa cover. The fabric covers are produced by Kvadrat or Arve and the leather comes from Camo leathers. 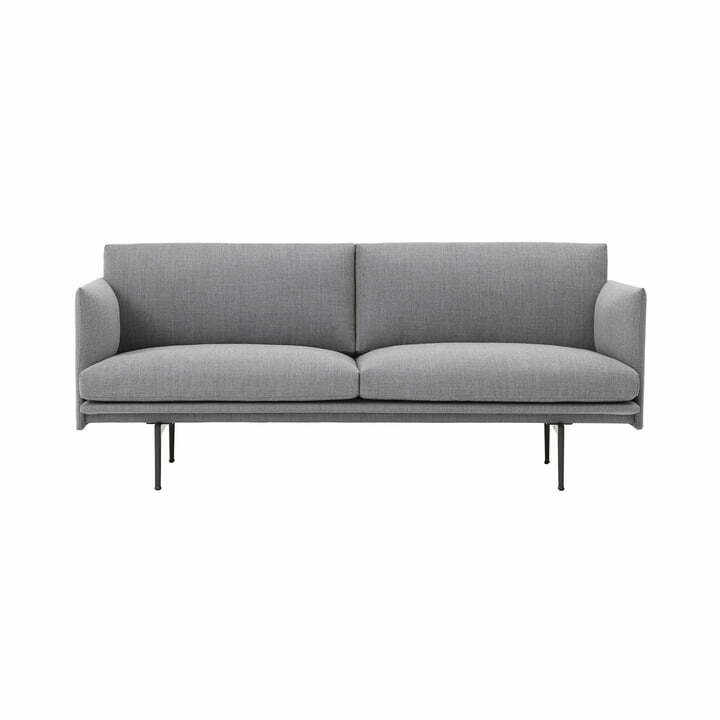 The Outline Sofa by Muuto is available as a 2-seater version as well as a 3-seater sofa. With the Outline sofa the designers Anderssen & Voll wanted to create a seating for Muuto, which seems light and elegantly and thus offers a high level of comfort. The design was inspired by architectural elements of modernity. 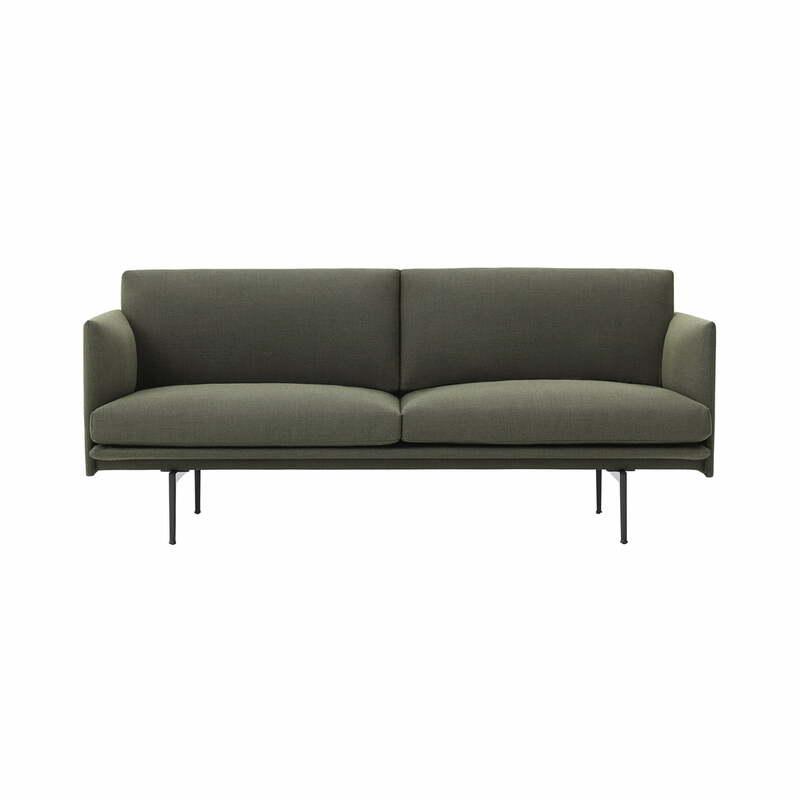 The various levels of the Outline sofa 2-seater by Muuto overlap each other and contribute to the ease of the sofa. For this reason, it exudes a certain calmness and serenity. The Outline armchair and sofa in leather and light grey fabric in an ambient setting. 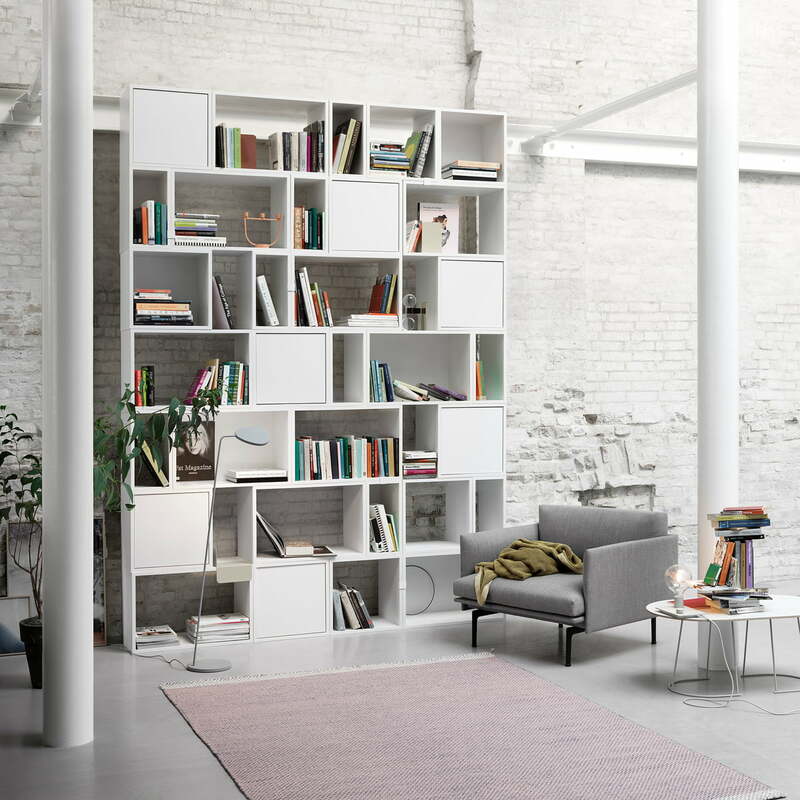 Together with the Leaf floor lamp and the Around side table by Muuto. 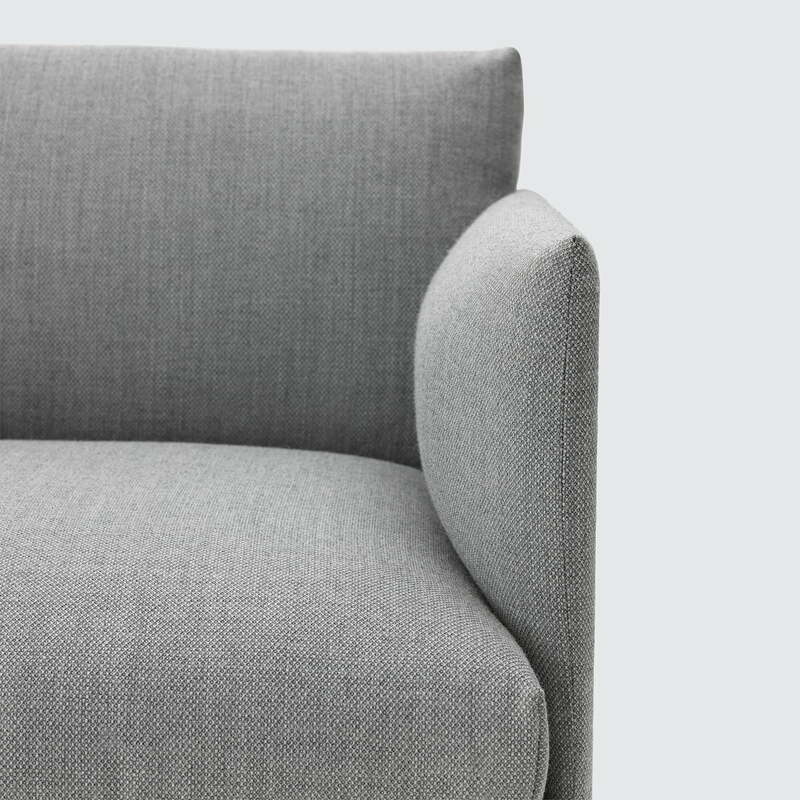 Ambient image of the Outline armchair in grey fabric - Fjord 151 – combined with the Stacked shelves in white and the Airy coffee table by the lable Muuto.